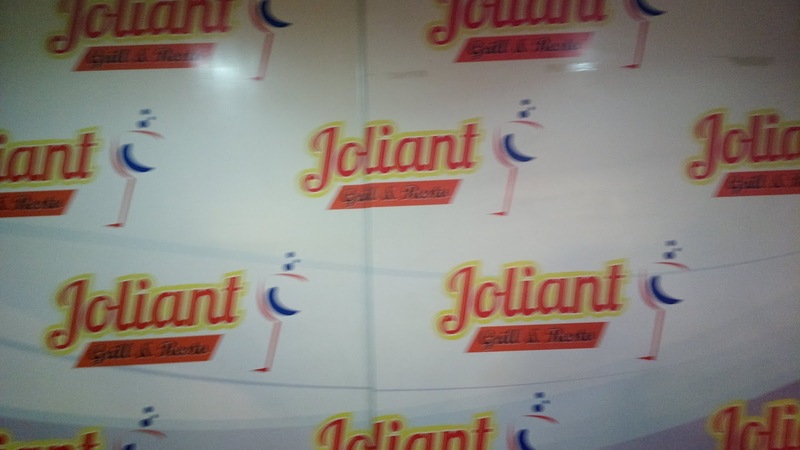 Here's another restaurant to consider when in the south (of Metro Manila, that is) - Joliant Grill and Resto in Parañaque City. This place has several branches within this city including in Moonwalk, Better Living, Sucat and Multinational. The image below was from the Sucat Road (Dr. A. Santos Ave., Brgy. San Isidro) branch. This branch is well designed for both smokers and non-smokers. The former can stay at the outer open area while the latter can be seated inside the air-conditioned section. There are also more seats available upstairs. You can also take your pictures through the background wall below, similar to how event venues take photos these days. If you drop by during Thursday night, you can enjoy a comedy show while during weekends (Friday and Saturday), the place invites a live acoustic band. Loyal customers can also enjoy a free meal after completing the required number of stamps with every visit (and dine of course!) through the loyalty card. As for the food, I'd recommend any of the basic rice meals if you're not really hungry but if you are, go for the complete meals which come with a free drink. 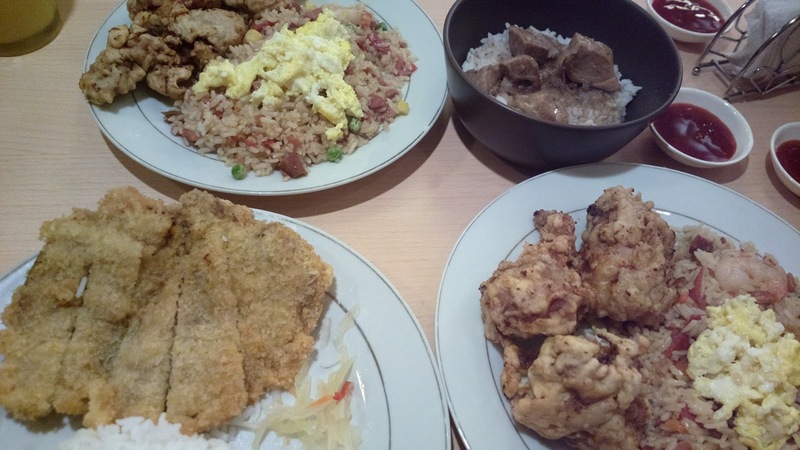 You can even order servings that are good for several people. Bar drinks are also served. 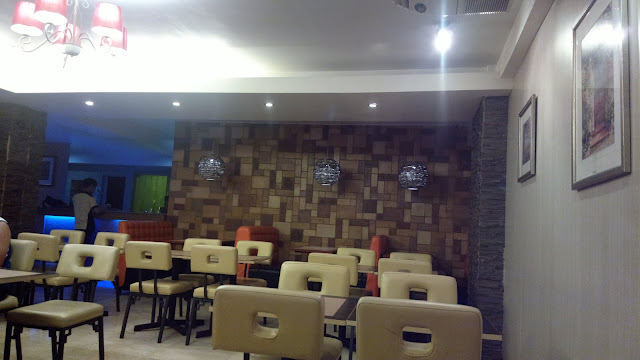 This Joliant Grill and Resto branch is open from 6 PM to 1 AM from Sundays to Thursdays and from 6 PM to 3 AM during Fridays and Saturdays. 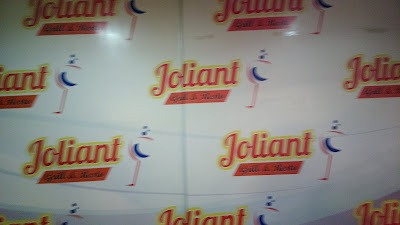 For more details including the complete menu, other branches, and more, see www.facebook.com/Joliant .